Now that the post-holiday dust has settled, we are left with cold, dry winter days from now until March. It’s tempting to fall in to hibernation during the blistering winter months, but your skin will be forced to face the elements at some point. We often neglect the impact the seasons and climate have on our skin – it’s important to give your skin the TLC it needs to avoid dry, itchy and cracking skin! This season, start your winter skincare early by keeping your hydrating tools near and making your winter skin regiment a daily to-do. Here are three ways to winterize your skin with Pretika this season! See the full article on The Inspired Home HERE. 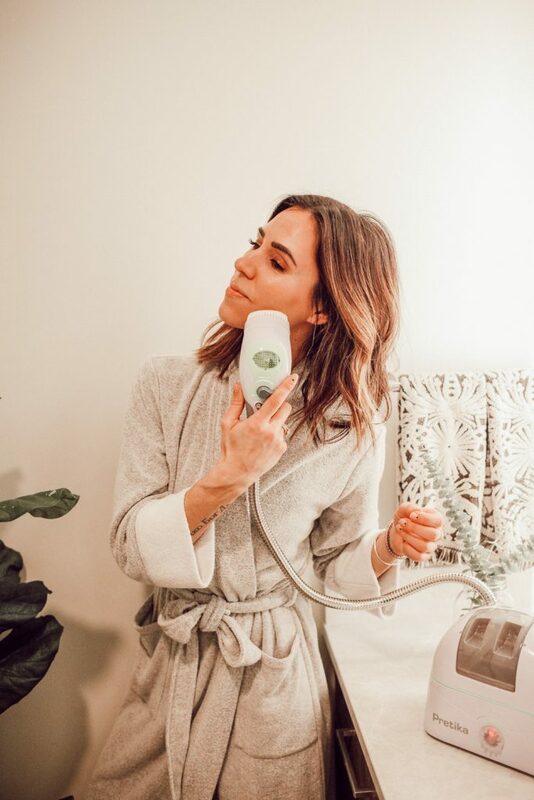 Face // For my facial routine, I love the OxySonic Facial Brush – it’s microdermabrasion facial brush that injects oxygen in to your skin while removing debris, making your skin the perfect canvas for your treatments and make-up application. 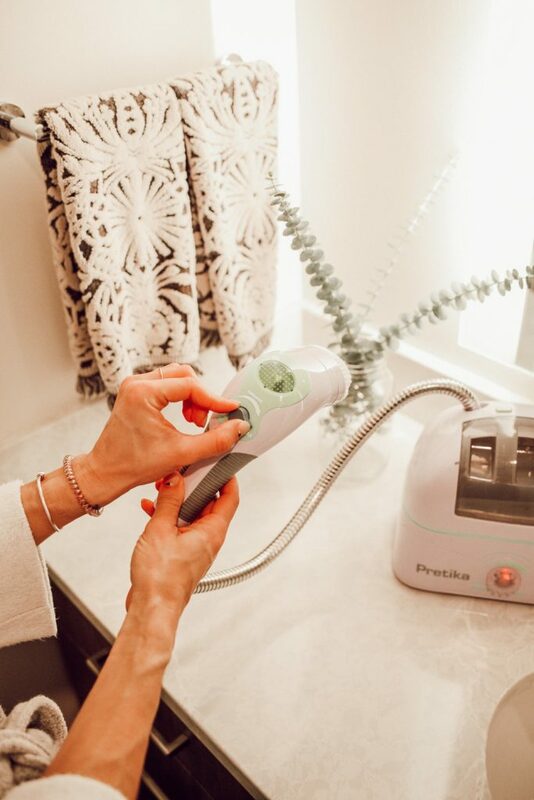 The OxySonic Facial Brush brings the spa to you making the process easy and cost efficient! 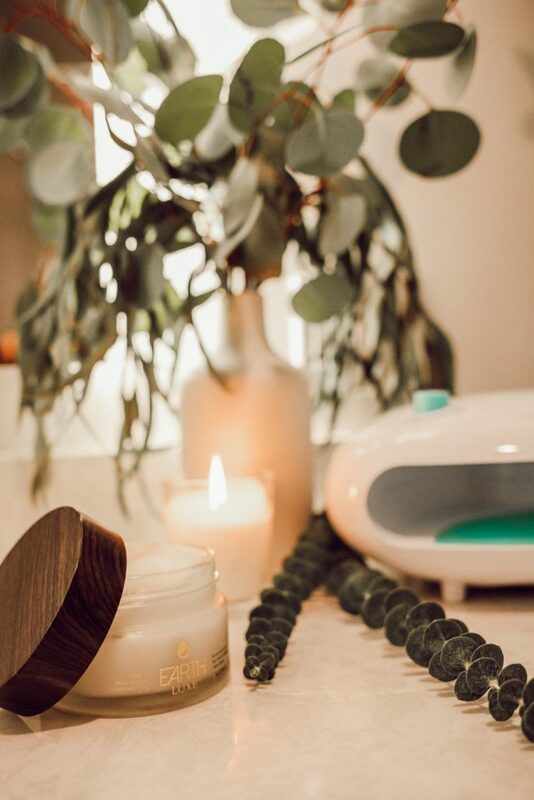 Body // Ok, back to talking about the “tedious” nature of exfoliating – what if I told you there was a way to wash and exfoliate at the same time making it one less thing you have to do when you shower? Don’t think of exfoliating as an extra step, but part of the process. 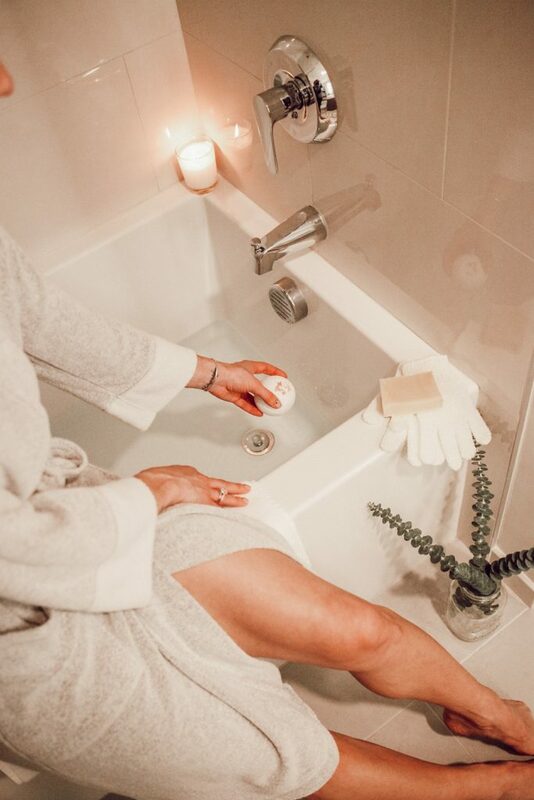 Try combining it with something in your existing routine, such as using a loofah scrub mitt that gently exfoliates and softens the skin while washing it! I love it when the product does the thinking for you! We often under value the power of a good moisturizer, but did you know that there are different based moisturizers? In my mind, when winter rolls around, you find the thickest cream you can and that’s your moisturizer. I was so wrong! A water-based moisturizer in freezing temperatures will freeze in your pores and cause broken capillaries. What?! Sure that sounds scary, but there is a way to prevent it. Use an oil-based cream (like coconut oil) or facial oil to replace your summery moisturizer when the temperatures dip below freezing. You may appear to be a little shiny, but that is better than broken capillaries on your face! One of the most forgotten areas on our body is our hands. Next to our face, they take the toughest beating during winter from commuting to work without gloves or scraping ice off your windshield! 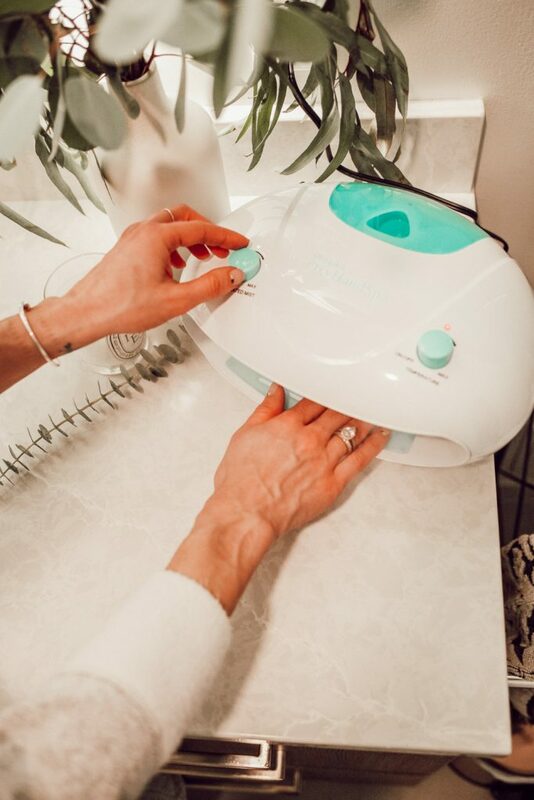 Take care of your hands with the Oxy Hand Spa – similar to the facial brush, it delivers oxygenated mists to nourish your skin. The ultrasonic oxygenated hydrating mists act to saturate your skin with moisture to stay smooth! This post is sponsored by The Inspired Home – all thoughts are my own.